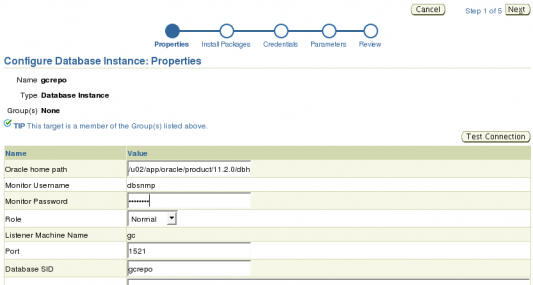 You have completed the install of Oracle Enterprise Manager 11gR1 Grid Control and noticed the that repository database has a status with Metric Collection Error. The repository database has not been configured for metric collection. Click the Configure button to start the metric collection setup. 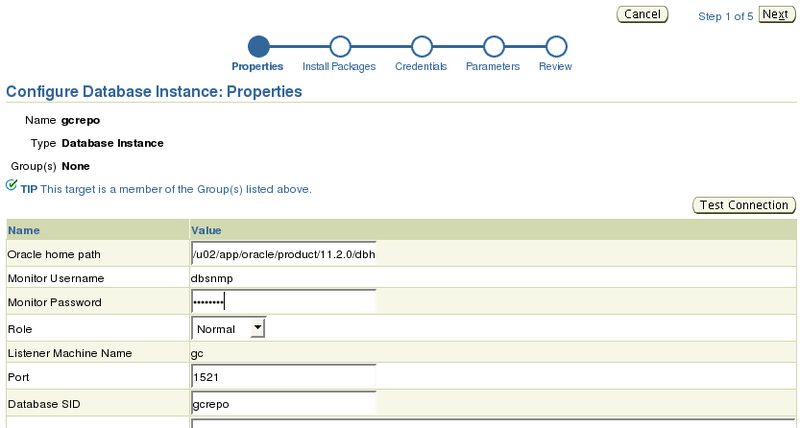 On the Instance Properties page enter the password for the DBSNMP user in the repository database. Note you might be required to set the password and unlock the account, you can verify through SQL*Plus. Back on the Instance Properties page enter the password for the DBSNMP user and click the Test Connection button. You should get a Success message in the header. Click the Next button to continue to the review page. On the Review page you have the ability verify your settings before submitting. If you have changes click the Back button, if not click the Submit button. After you click the Submit button a progress page will appear like the one above. Once the changes are saved you will get a status pages stating the properties have been updated. Click the OK button to go back the repository database home page. Now you will see that metrics are now being collected. isn’t there a way to permanently configure the database so i don’t have to do the configuration every other morning?? really appreciated. Thanks you so much.